alaTest har samlat in och analyserat 72 tester för JBL Go 2. Det genomsnittliga betyget av denna produkt är 4.6/5, att jämföra med genomsnittsbetyget 4.5/5 för produkter i samma kategori. Tillförlitligheten och designen får bra omdömen. Vi har analyserat betyg från experter och användare, produktens ålder och andra faktorer. Jämfört med andra produkter i samma kategori belönas JBL Go 2 med en alaScore™ på 96/100 = Utmärkt kvalitet. The JBL Go 2 is an affordable waterproof speaker that offers solid volume levels and a full sound signature for its size. Solid audio performance for the size. Waterproof. Affordable. Light on accessories. Can distort on deep bass tracks at high volumes. The JBL Go 2 speaker is quite a noticeable improvement over its previous gen Go, speaker. The second-generation of JBL's tiny, entry-level Bluetooth speaker, gets full waterproofing along with a better design and sound. It doesn't have all that much bass and its battery life isn't great at 5 hours. While it won't rock the house, the JBL Go 2 is an appealing little Bluetooth speaker. 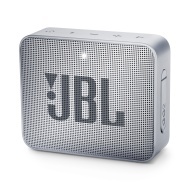 JBL Go2 review: Keep this device in a corner of a large room and it will be able to fill it and someone coming from outside will not be able to figure out where the music is coming from. La segunda generación de esta pequeña bocina Bluetooth de JBL, de nivel básico, es totalmente sumergible y ofrece un mejor diseño y sonido. No ofrece un gran audio con sonidos graves y la duración de su batería no es buena, apenas de 5 horas. 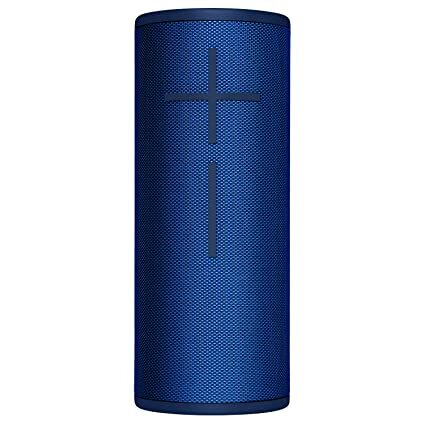 Si bien no sacudirá tu casa, la Go 2 de JBL es una pequeña y atractiva bocina con Bluetooth. Good little portable speaker, whish it had abit more bass. Rather than that everything looks good.